This outfit is super cute! You sure do have a flair for wearing berets. And that camera is the perfect accessory! I love it! I always want to have beret hat but it just doesn't work on me. hehehehe. 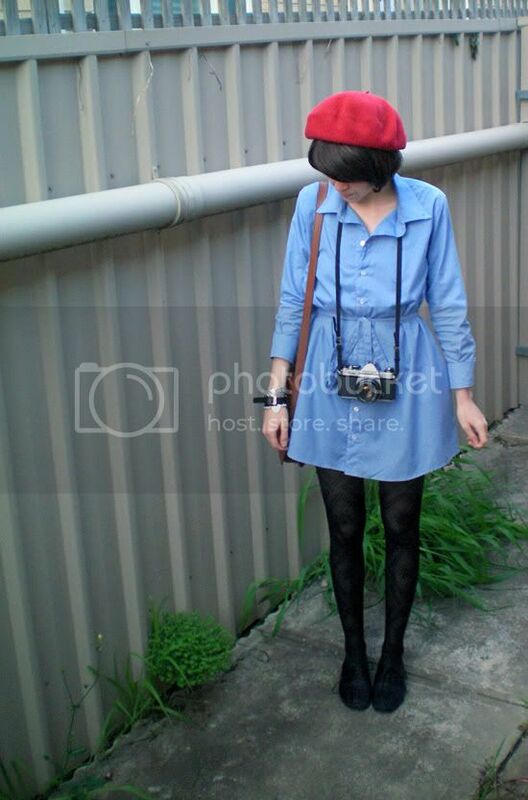 That shirt dress is dead cute, especially with the red beret! & I'm extremely jealous of your satchel. That camera looks cute with the outfit! 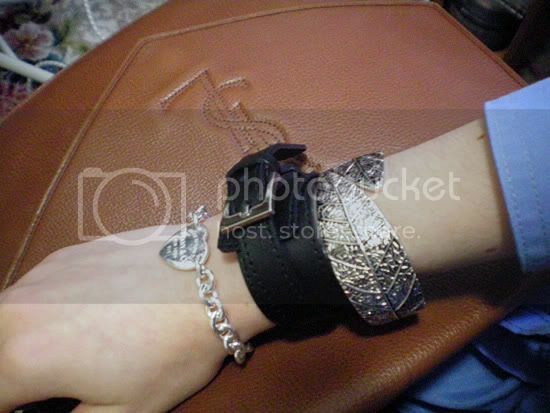 Love the bracelets and the vintage satchel! 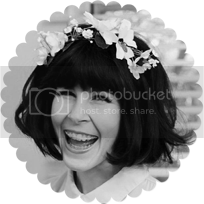 That's so funny that people react like that -- I love having my picture taken! ...Okay, that sounded narcissistic (I'm not). Love the bag you're carrying. The leather looks so nice and rich! quite cute! i love the beret on you. 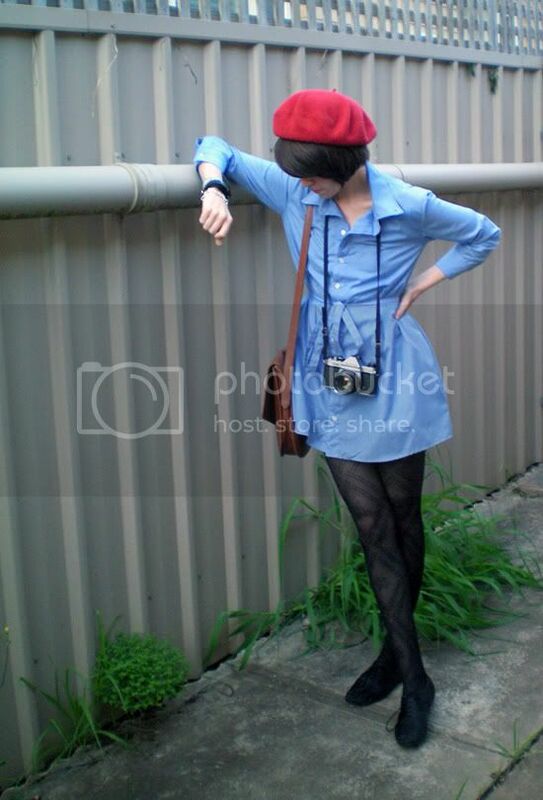 that's a very cute outfit :) the red beret really got my attention & it certainly goes well with the cam u got there. nice! Love love love this look. Where is your leaf bracelet from? I have one in gold with white enamel just like it! j'ai essayé de t'ajouter chez moi mais sans succés , une idée ? one of the best-est blog ever! i really enjoy looking at ur blog..so much inspirations..so much lovely outfit...etc!